Our firm is built upon a foundation of personal and professional integrity. Our firm is built upon a foundation of integrity. The Building Industry Partners Investment Team has over 40 years of combined private equity and building industry investment experience, partnering with management teams to build middle-market companies. Matt is a Managing Partner of Building Industry Partners, the firm he founded in 2008. Matt is passionate about supporting the building industry’s best and brightest operators in realizing their entrepreneurial visions. He focuses on helping BIP’s portfolio company leaders establish and achieve their strategic plans, as well as building operator relationships and sourcing, analyzing, structuring, and executing new BIP platform and add-on investment opportunities. In 2003, Matt founded and ran the predecessor firm to BIP, a building products–focused M&A advisory firm. Prior to founding these firms, Matt worked for Brazos Private Equity Partners, a middle-market private equity firm spun out from Hicks, Muse, Tate & Furst Inc. Previously, Matt worked as Chief Investment Officer for Chambers Interests, a Fort Worth, TX–based family investment office, and as an investment professional with Rainwater Inc. and Natural Gas Partners, L.P., two private equity investment firms affiliated with the renowned investor and billionaire Richard Rainwater. Matt serves on the boards of directors of several private companies and is a regular speaker and contributor within the building products industry on capital markets, private equity, and mergers & acquisitions. Matt also serves as Managing Partner of Ogden Family Investments, the family investment office he founded in 2014 to manage his family’s investment and philanthropic activities. Matt earned a B.S. in Economics with Honors, with concentrations in Finance and Entrepreneurial Management, from The Wharton School of the University of Pennsylvania. After living many years in Dallas, Matt now lives in Boston with his wife, Einat, and their four children. 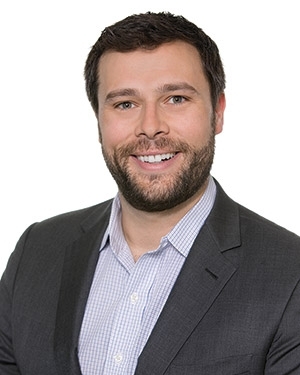 Zach is a Managing Partner at Building Industry Partners, where he works with BIP’s operating partners to grow and optimize operations of our portfolio companies, and discovers, analyzes, and executes new and exciting investment opportunities. He previously co-founded Leading Ridge Capital Partners, a private investment firm focused on growing lower middle-market distribution businesses. At Leading Ridge, Zach led sponsorship of a successful buy and build strategy at Rugby Architectural Building Products, a leading national architectural-grade building products one-step distributor. Prior to his tenure at Leading Ridge, Zach worked in the Distressed Credit group for Lehman Brothers and Barclays Capital, after spending time in their high yield research and proprietary equity investing divisions. Zach serves on the boards of directors of several private companies, as well as Make-A-Wish Metro New York. Zach earned a B.S. in Economics, with concentrations in Finance and Entrepreneurship, from the Wharton School of the University of Pennsylvania, receiving numerous awards and honor society memberships for leadership, entrepreneurship, and academic achievement. In 2015, Zach was named one of New York City’s Top 20 Philanthropists Under 40 by Observer magazine and was featured on Bloomberg TV’s series on business leadership and philanthropy, titled “Good Fortunes.” Zach lives in New York City with his wife, Andrea. John is Vice President of Building Industry Partners, where he focuses on sourcing, evaluating and executing investments, and works with existing portfolio companies to grow and improve their businesses. John was previously a Vice President at Fremont Private Holdings, the private equity arm of the Bechtel family investment office. The Bechtels own and operate Bechtel Corporation, one of the largest engineering and construction firms in the world. At Fremont, John focused on investing in family-owned companies and helping them grow organically and through acquisitions. Previously, John was an Investment Professional with PineBridge Investments, with a flexible investment strategy across multiple industries and security types. John began his career with the Investment Banking Division of Bank of America Merrill Lynch. John serves on the Board of Directors of Christian Outreach Project, a charity that provides home repair and reconstruction for families in need. John received a B.S. in Economics with Honors, with a concentration in Finance, from The Wharton School of the University of Pennsylvania. John lives in New York City and competes annually in the Wall Street Decathlon to benefit Memorial Sloan Kettering Cancer Center. ©2018 Building Industry Partners. All rights reserved.